Hawaii Preliminary Meeting Program Posted! 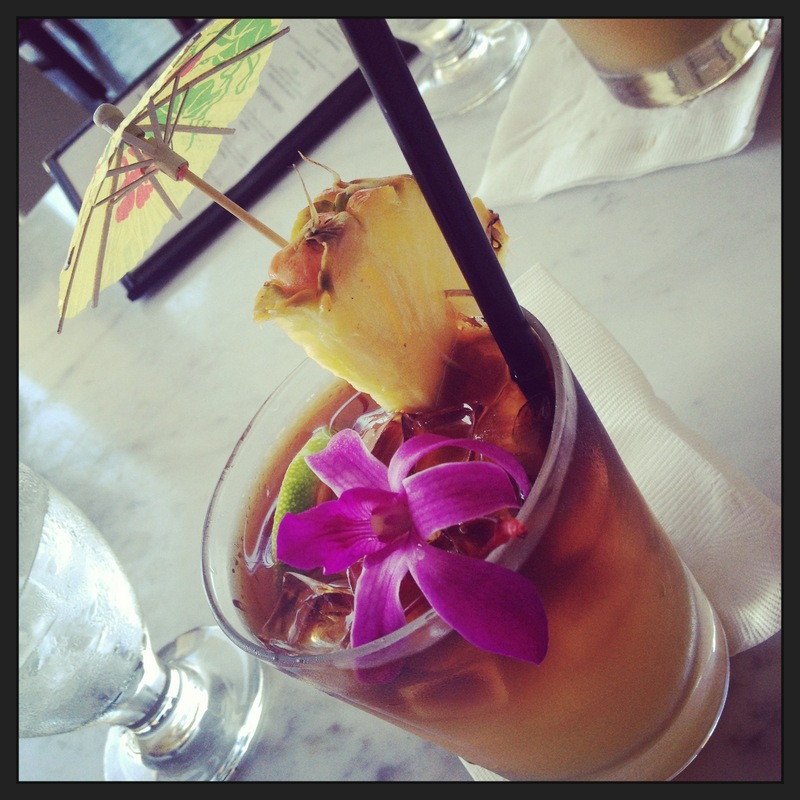 Version 1 of our preliminary meeting program for the Hawaii conference is now available here! This means that NOW is the time for hotel reservations and meeting preregistration. Information on both can be found under the appropriate annual meeting links on our website. 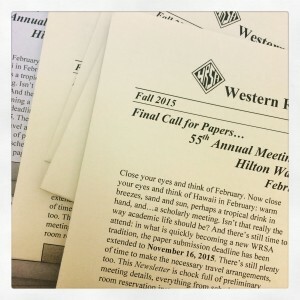 The Fall 2015 WRSA Newsletter: Everything you need for your annual meeting planning…and more! 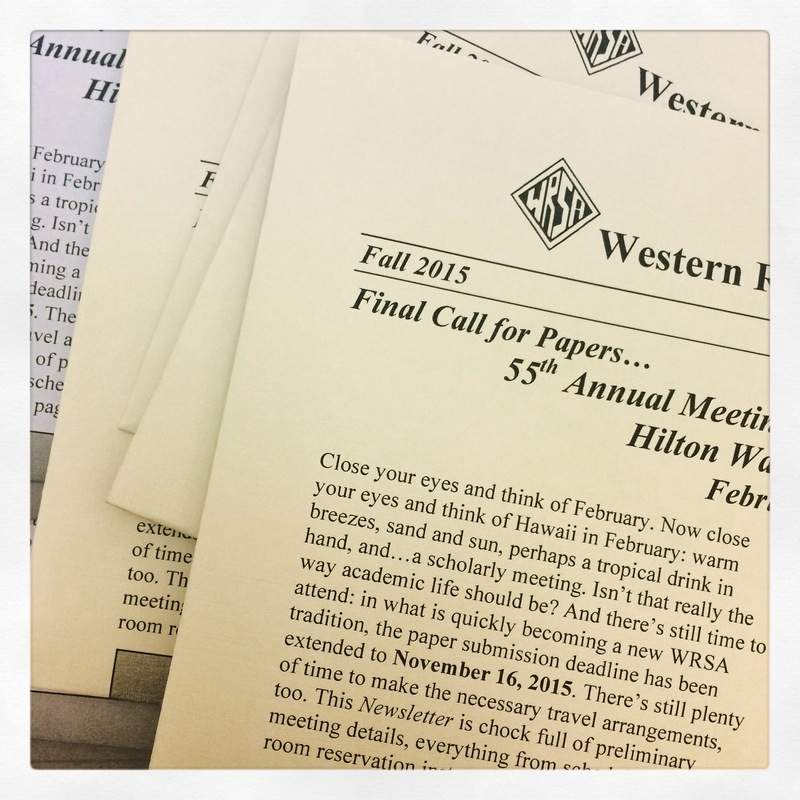 It’s here, hot off the presses: the Fall 2015 WRSA Newsletter. Take a look inside for all your annual meeting information: travel logistics, hotel reservation information, student volunteer opportunities, and more! 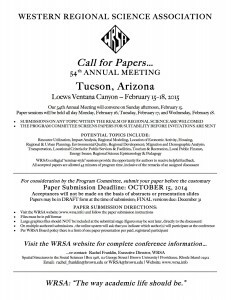 WRSA Paper Submission Deadline Extended! 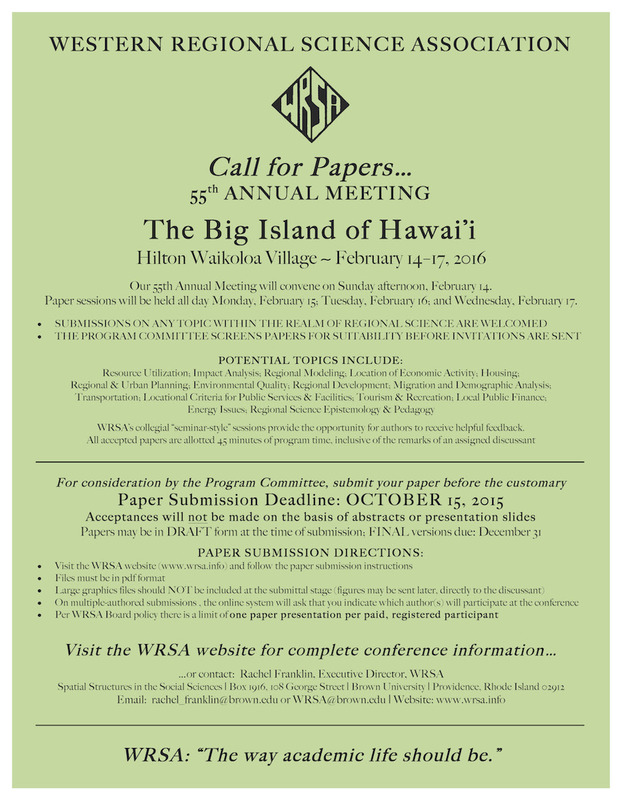 The paper submission deadline for our 55th annual meeting on the Big Island of Hawaii, February 14-17, 2016, is extended to November 16, 2015. That day will be our hard deadline for papers, to allow time for manuscript review and preliminary program preparation. If your paper is ready to submit, please do go ahead and upload it. However, for those in need of the extra time to get their papers polished (or completed), we’re happy to be able to offer a few weeks of extra breathing room. With regard to travel arrangements for the meeting, keep in mind that Hawaii in the winter is attractive to more than just regional scientists! Those booking on the earlier side will likely find better airfares and will have a greater choice of room types from our negotiated room block (this is especially true for those extending their stays beyond the dates of the meeting). See Hotel Information for room reservation instructions. Extra, Extra, Read All About It: WRSA Spring/Summer Newsletter Posted! The 2015 Spring/Summer Newsletter is newly posted and is chock full of preliminary meeting information for our 55th Annual Meeting, to be held at the Hilton Waikoloa on the Big Island of Hawaii, February 14-17, 2016. Wondering how to book your room? Submit a paper? It’s all in the Newsletter! This issue of the Newsletter also gives a recap of this year’s annual meeting in Tucson (including pictures!) and includes information for both the Tiebout and the Ben Steven’s Fellowship graduate student competitions. Read on! 1. 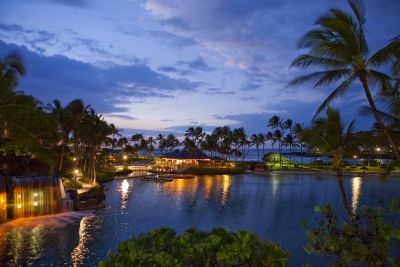 Room reservations at the Hilton Waikoloa Village can now be booked using this link: http://www.hilton.com/en/hi/groups/personalized/K/KOAHWHH-WRS-20160214/index.jhtml?WT.mc_id=POG. Room rates start at $205 per night (plus applicable taxes) and include guest room internet, complimentary self-parking, and fitness center access. 2. 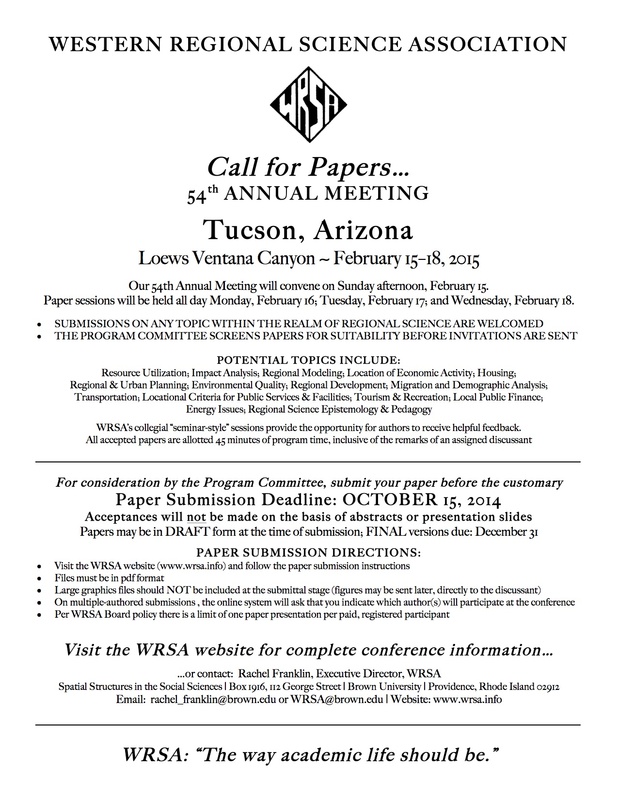 For inclusion in the meeting program, full papers should be submitted to the WRSA portal by October 15, 2015. Details are available under the annual meeting tab here on our website. We look forward to seeing you on the Big Island! WRSA 2016: The Big Island of Hawaii! It’s never too soon to start planning! In February 2016 the WRSA will return to the Hilton Waikoloa Resort on the Big Island of Hawaii for its 55th Annual Meeting. Our meeting dates are February 14-17 and our negotiated nightly room rate at the resort, not including applicable taxes, is $205 (resort view), $260 (ocean view), or $280 (deluxe ocean view). All rates will be applicable three nights before and after our official meeting dates, subject to hotel availability. Room rates also include parking, room internet, and fitness center. This is a great opportunity to mix work and play; be sure to book early! Additional meeting information will be available over the next couple of months. Keep in mind the October 15 paper submission deadline date. And remember that full papers (draft format acceptable for initial submission) are required. No abstracts! We look forward to seeing you on the Big Island next February! Preliminary Meeting Program for Tucson Posted! The preliminary meeting program for our 54th annual meeting in Tucson (February 15-18, 2015) is now available here. 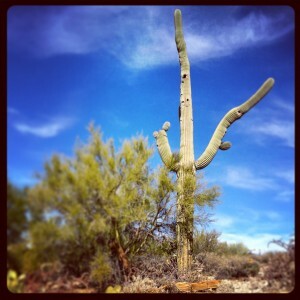 Still on the fence about coming to Tucson? We can easily find room for you on the program as a paper discussant or session chair! Now is the time to preregister for the meeting and to make your hotel reservation, if you have not already done so! Full details on both are available here on our website. Paper Submission Deadline Extended for Tucson Meeting! The WRSA traditional October 15 paper submission deadline has come and gone. In its place is the traditional WRSA paper submission deadline extension. Although we very much prefer to receive papers early, we will continue to accept submissions until Friday, November 21. Submit your papers here. Additional meeting information can be found using the page links on the left. Questions? Feel free to contact WRSA executive director, Rachel Franklin. A digital version of the Spring/Summer WRSA Newsletter, which shipped to current members in June, is now available! Along with a rundown on our 53rd annual meeting in February in San Diego, the Newsletter is full of preliminary information for the 2015 meeting, which will be held in Tucson, Arizona, February 15-18. The Fall 2014 Newsletter will be heading to member mailboxes in the next couple of weeks. Join or renew your membership now to get yours! Welcome to the new and improved WRSA website! Starting this year, all conference paper submission and registration will happen via the new site — and both are now being accepted! To get started you will need to create a new account in the system. You should only need to do this one time. Once you’ve created your new account, use the appropriate page links to register for the meeting, renew a membership, or submit your conference paper.